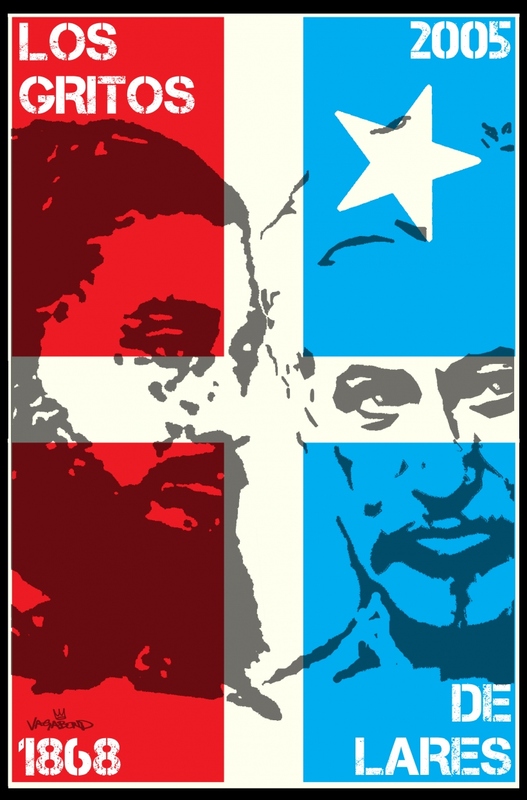 This event which took place on September 23, 1868 is crucial to Puerto Rican history. It was the first time a large and diverse group of people rose up together in the case of their freedom and independence from Spain. 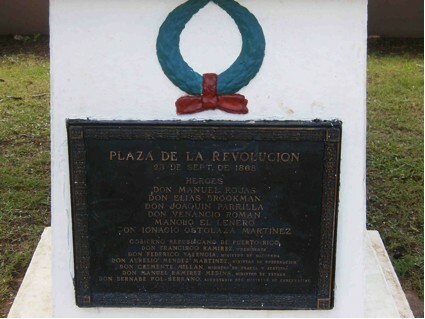 Dr. Ramon Emeterio Betances led the revolution, which was militarily defeated. 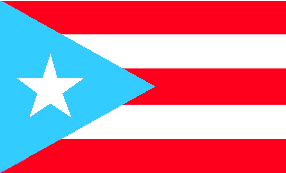 The date it took place on is considered the birth date of the Puerto Rican nation, the result of a unity between the native, African, European, and other peoples that lived there. Born in Añasco, Mariana Bracetti sewed the first flag of Puerto Rico for the revolutionaries of El Grito de Lares in 1868. 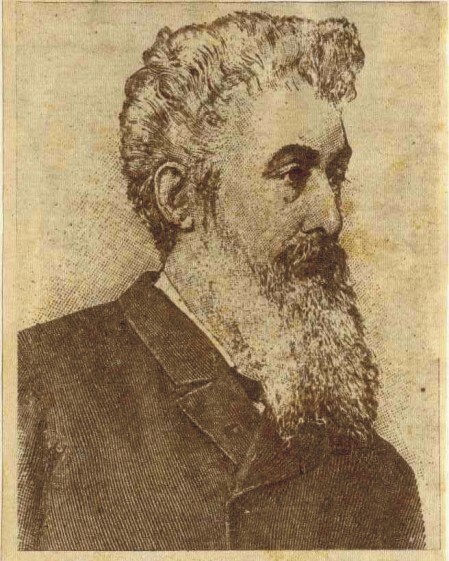 Bracetti was also a leader in the Lares Revolutionary Council. 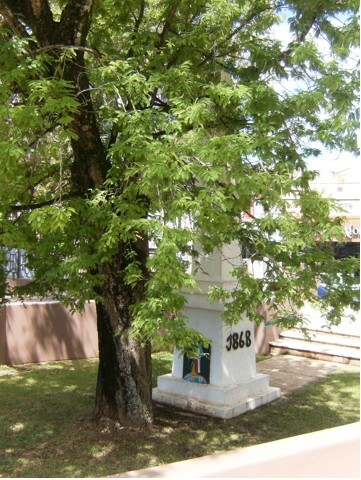 She was married to Miguel Rojas who was a leader of the revolutionary army in Lares with his brother Manuel. 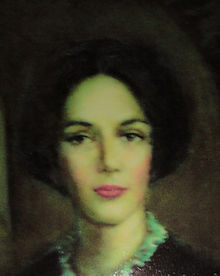 Considered the first Puerto Rican female independence fighter, Mercedes Barbudo, born in San Juan, also had close ties with the Venezuelan rebels led by Simón Bolívar. Being watched by Spanish authorities, she was arrested in October 1824. Held without bail she was sentenced without trial to exile in Cuba. 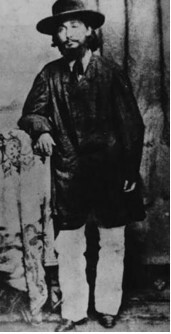 She would later escape to Venezuela where she lived until her death in 1849. 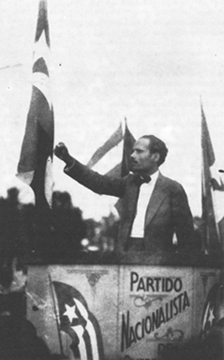 After Puerto Rico was illegally given to the U.S. by Spain in 1898, the independence movement found it’s next leader in the Ponce-born Albizu Campos. Considered a threat, the U.S. kept him in jail for a total of more than 25 years. He was also tortured in prison as a subject of radiation tests. He spoke several languages. 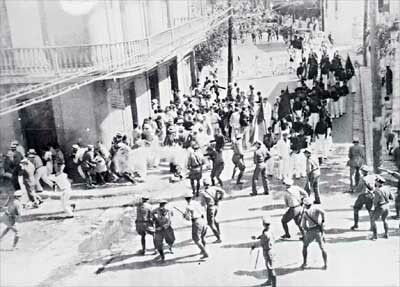 Organizing a peaceful protest march against the imprisonment of Nationalist leaders, hundreds of people gathered in Ponce on March 21, 1937. The police came in to stop the march and opened fire on the crowd, killing 19 and injuring over 200 others, including women and children. Learning from the violent reactions of the police and government in the past, Filiberto continued the fight of Albizu Campos in clandestinity in order to evade the violence. 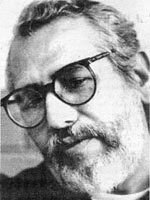 Although a fugitive for many years, he evaded capture and was able to continue his work uniting people for the struggle to free Puerto Rico from colonialism. On September 23, 2005 the FBI conducted a massive operation during which they killed Filiberto. The Puerto Rican people are the result of the experience of many different peoples who lived in the island after the 1492 arrival of Columbus. With a unique culture that is relatively very young we have impacted many areas of the world. In order to survive Puerto Ricans must use their history and culture in order to educate each other and be able to live out their identity with dignity. By determining to come together, to be free as a Puerto Rican people, we will be able to work with others to build a greater peace built on mutual support. 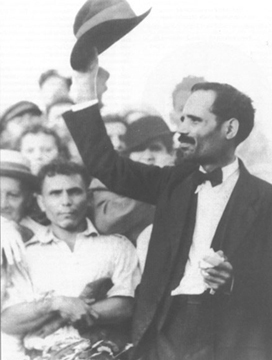 Pedro Albizu Campos was the leader of the Nationalist Party of Puerto Rico from 1930 until his death in 1965. Turning the party into the premier force fighting for Puerto Rican independence, he sacrificed his liberty many times, even facing torture once in jail. Despite a law passed two years before that criminalized any expression of anti-U.S. sentiment, Don Pedro gave a fiery speech in Lares on September 23, 1950. This speech, the English version of which you can download below, fired up the people to the point of conducting an insurrection against U.S. colonialism the next month on October 30. This event in Puerto Rican history became known as the Nationalist Insurrection of 1950, some referring to it as the Jayuya Uprising because of the fact that it was in that town where the uprising was strongest and longest-lasting. Please read on this event further using Wikipedia and other sources you may be able to find in your search. Well, maybe i learned a little bit of that stuff, but what i learned most clearly is that it is hard to learn all that stuff when you are forced to. Compulsory education is a real issue. Looking at the word compulsory we start to think of coercion, or of being persuaded to do something using force or threats. That is what something that is compulsory does, and how does compulsory education do it? Using all types of threats that include the real possibility of being arrested or detained by police. This is an issue. Compulsory education is a real issue. Looking at the words compulsory and education together many of us start to think of the benefits of education, of the fact that without learning the skills of life one cannot live. So is education compulsory in the sense that every growing person is coerced, forced, or, for the sake of sounding in favor of the real necessity of education, enthusiastically helped in the learning process that will allow them to grow fully as humans? No, because all compulsory education means to the people that enforce it, the schools, is a mandatory and minimum amount of classroom attendance per child. To the school, which as a human creation is no longer human, compulsory education means seats are filled, not that the people filling them are actually being helped to grow, as most humans would think. This is an issue. After spending years in school, i’ve learned that education occurs everywhere. After all these years i’ve learned that the only true teacher of humanity is life, and that the only true school for humanity is existence. Every person has their own experiences and, from them, learn their own lessons. Once these lessons are processed and we begin to use them in our future experiences, which is the summary of any practical educational process, we begin to develop our own personalities. Our personalities then influence how we encounter experiences, what kind of lessons we draw, and what types of experiences we look to encounter (this last being our interests). To conclude, my compulsory education education did teach me at least one valuable lesson: Education takes place everywhere, it is most practical when we learn to do things by doing them, and it is most enjoyable when it is based on developing the full potential of our interests and, thus, personality. i wonder if i had to experience a compulsory education education to learn this, and i wonder if others might draw the same conclusion if they did as well. For this reason, and everything else i have written, i believe that individuals, families, and social groups everywhere ought to develop a sense of education as something that promotes individual freedom and social harmony by initiating voluntary learning projects and collectives. Because it is so important for everyone, even young people, to experience education as what it really is, those lasting moments when we learn to live better, and to experience it so that personalities are born that can enthusiastically support it, it should become part of our dialogue whether it is outside the school or in. The educational processes we need cannot take place by forcing students to listen to whoever happens to be designated as the power-wielding teacher. It is only by giving the freedom of teaching and learning to every individual, by distributing educational power rather than making it exclusive, that educational processes can occur anywhere as needed and desired, to the joy of those participating in co-creating that experience. May the tree of life rise ever upward unstunted! 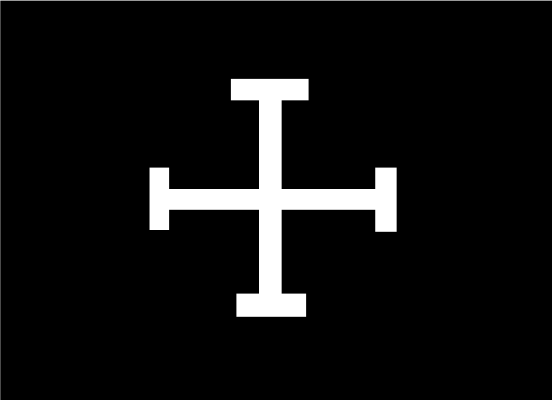 Without an identity, a people would be unable to identify themselves. Without an identity, a people cannot say they exist. In fact, without an identity, people do not exist—in order to exist, one must be identified and therefore have an identity. How is it that people come to identify themselves? In different ways—but one thing is for sure: without a You, an I would not exist; and without a Them, an Us would not exist. Therefore, this lesson is clear: We all depend on each other for our own identities. We also, because of our connection, affect each other’s identities. This is the main point of this short writing against the arbitrary revising of a people’s identity that is occurring today in Lares, Puerto Rico. History shows that a people’s identity is essential to the definition of their culture, and that when a people have a strong self-identity, they become dignified in their humanity. This human dignity is the result of a people consciously exercising their right to make the road that is the destiny of their culture. And history shows that this dignity always calls on those people to fight in defense of their survival—to fight in defense of their culture and their identity. The revisionist attack on the dignified and patriotic town of Lares, and the response of the Lareños (and Lareñas), shows all of this very well. Completed by mid-July, the two fish-shaped signs in Lares are prominent to drivers entering Lares down those main streets. Permitted by the mayor of Lares, the label given on the sign becomes curious, absurd, interesting, and confusing. 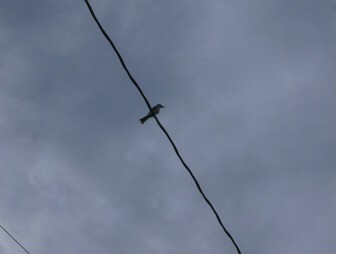 In the end, what it amounts to is an attack on the identity of the town and the culture of its people, for what place do Cielos Abiertos hold in the history of Lares? It’s upsetting to think the mayor of such a dignified town, also known as, lest we forget, la Ciudad del Grito, would allow such confusing messages to be constructed. 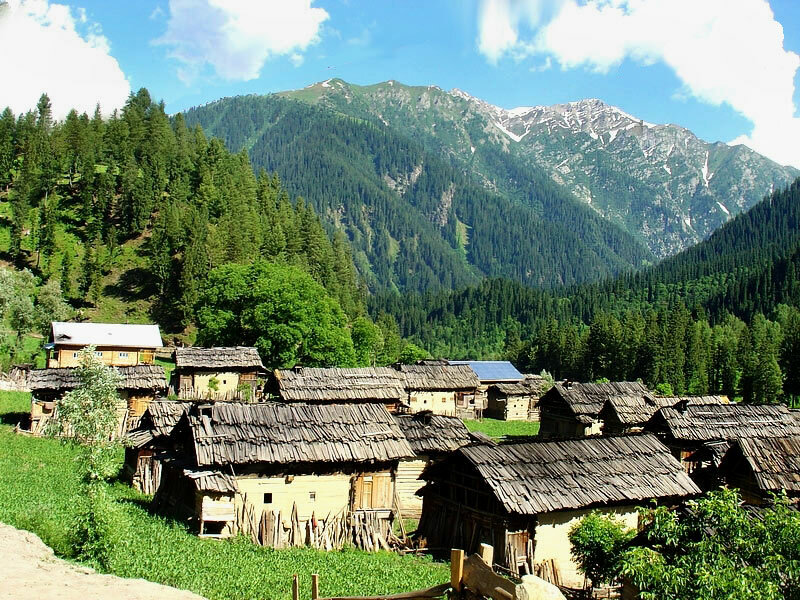 Of course the people would not be caught on bent knees, passively accepting the renaming of their town; they would fight in defense of culture. 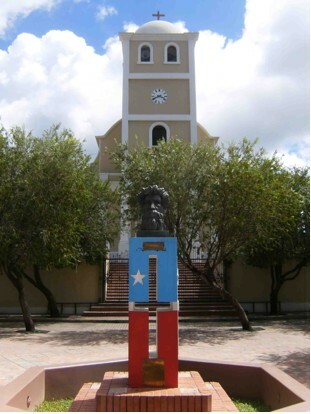 On September 12, 2010, when the island celebrated the life of Pedro Albizu Campos, the people of Lares organized a broad demonstration that addressed the local municipal attempts at revisionism. With an estimate of 2,500 people in attendance, a march beginning by 9am culminated in a rally around the plaza de Lares where nationalists, independentistas, socialists, populares, statehooders, communists, and other formations of people displayed the flag of Lares in a display of their Lareño identity that ended by 4pm. The message of the people was clear: Pedro Albizu Campos is remembered, and the people of Lares are proud of their identity. Identity/culture is essential to a people, for a people without an identity are not a people. The dignity that comes with living as a human being carrying the mark of Puerto Rican culture is a dignity that is all too human, for dignity is the direct result of a cultural identity created out of free will. 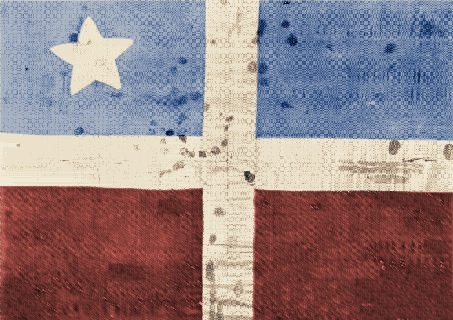 It was that free will that forced people before and after el Grito de Lares to choose revolution in order to assert the unique Puerto Rican identity that, like all established nationalities, grows best with self-determination and independence. The people of Lares are clear about the identity that history has blessed them with, as residents of the altar of the nation, and on September 12 showed that with a militancy influenced by rainy conditions. 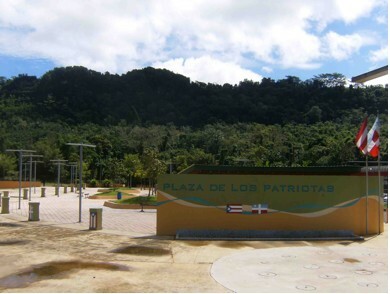 On behalf of freedom loving people, i believe i can state that the signs renaming Lares as anything other than el Ciudad del Grito or el Altar de la Patria is an attack on the town and people of Lares, and on all Puerto Ricans because of what Lares mean to the nation, and needs to be changed. Nowhere on earth should a people, who struggled to create and maintain the self-identity that is so crucial to defining ones culture, be rewritten by others supposedly in a position to represent them. 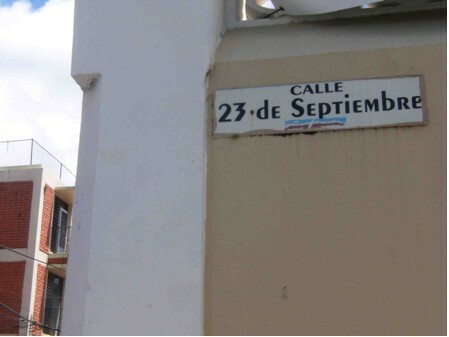 The signs in Lares were wrong and the demonstrations of the people on September 12 were right! The people united in struggle can win any victory! No to the revisionism in Lares!